Facebook just announced something that might be a radical change to its advertising business. Key word: Might. Right now it's hard to tell how significant it'll really be. "We're going to make political advertising more transparent," Facebook CEO Mark Zuckerberg announced on Thursday. The announcement is, among other things, an attempt to stave off government regulation. But it may not be enough. Hours after Zuckerberg spoke, two Democratic senators said in a letter to colleagues obtained by CNN that they intended to write legislation about ad disclosures. Spurred by the embarrassing disclosures about Russian-linked ads that targeted American voters last year, Zuckerberg said Facebook will require disclosures for all buyers of political ads. Users will be able to see what ads those buyers are showing to other groups of people. Facebook did not provide further details about how this will work. In the past, Facebook executives have called this kind of information "confidential," and they have tried to enforce consistent policies for ads, treating campaign messages no differently than gadget ads. So the company could be on the verge of a big change. Zuckerberg said "we will roll this out over the coming months, and we will work with others to create a new standard for transparency in online political ads." But how will Facebook determine what's a "political ad" and what's not? Questions about classification are going to be tricky, and a Facebook spokesman said the company has no further information to share at this time. Some ads are overtly political -- "vote for Candidate X" -- but many others are not. Ads with cultural and economic messages could be intended to influence the outcome of an election without ever mentioning a candidate or a political party. And it's not as if the Russian group that has been linked to the ads at issue here started a Super PAC or in any other way announced that their intentions were political. Facebook faces other challenges on this front. Its automated ad systems are incredibly complex. Enabling users to see all of the political messages that advertisers are targeting to users is a tall order for the company's engineers. Zuckerberg described the plan this way: "Not only will you have to disclose which page paid for an ad, but we will also make it so you can visit an advertiser's page and see the ads they're currently running to any audience on Facebook." Users, journalists, researchers and competing advertisers may benefit from having information about which Facebook page purchased a political ad. But the disclosures still may not truly answer questions about who's really pulling the strings and for which reasons. Facebook pages are free and easy for anyone to set up. 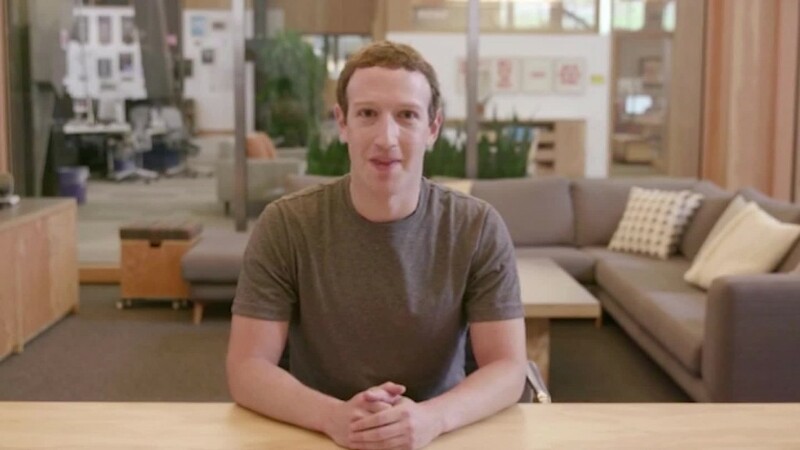 Zuckerberg also said that Facebook will "strengthen our ad review process for political ads." The announcements were met with curiosity and a whole lot of skepticism. "They are walking up to the starting line," Jason Kint, CEO of the publishing trade group Digital Context Next, said. "This is complete reaction to try to get back some control of the discussion." Kint and other analysts said the planned changes are partially a response to growing calls for federal regulation of online political ads. Campaign ads on Facebook and other social networking sites currently face none of the disclosure requirements that TV and radio ads do. When a campaign or a political action committee buys ad time on TV, there's a record of the buy, and stations have to make that information available to the public. Transparency advocates would like the TV disclosures to be a lot more detailed, but at least there's a little bit of sunlight. On the web, there's almost none. Many Democratic lawmakers have been urging disclosure standards for online ads. "We encourage the Federal Election Commission to take immediate steps to understand the threats posed to our democratic process by foreign influenced internet and social media advertisement, and to promulgate new guidance on how advertisement platforms can better prevent foreign nationals from illicitly spending in future U.S. elections," a group of House and Senate Democrats said in a letter on Wednesday.